Happy Summer, Friends! 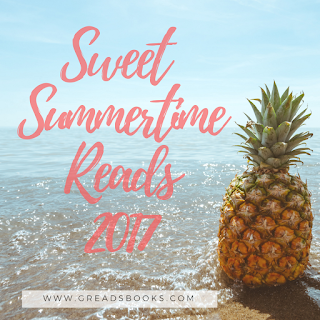 I am so excited to be announcing my 5th year of Sweet Summertime Reads on the blog. This is by far my favorite tradition here at GReads and I feel it keeps getting better & better each year. So what should you expect this season? Lots & lots of summertime reading goodness! I've got a great round up of both YA & Adult reads to tide you over for the next few months as the lazy days of summer drift on by. 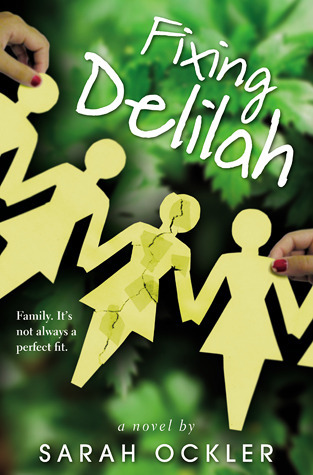 Plus fun posts from YA authors Trish Doller, Sara Biren, Miranda Kenneally, and Katy Upperman. 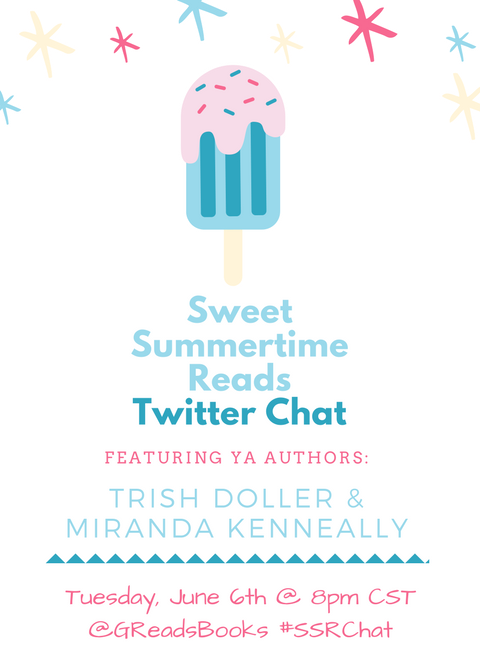 A few of my favorite bloggers will be stopping by throughout the summer as well! 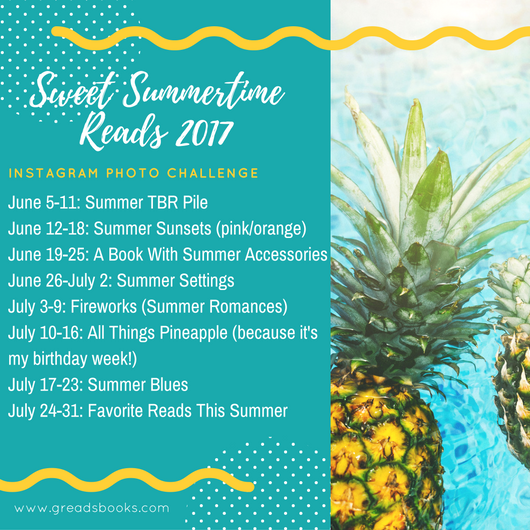 Last year I started a fun Instagram photo challenge for Sweet Summertime Reads & plan to bring it back again using hashtag #SweetSummertimeReads2017. Fresh new themes will begin starting the week of June 5th and continue until the end of July. Be sure to follow me on Instagram at: @GReadsbooks & check the graphic below for more details. 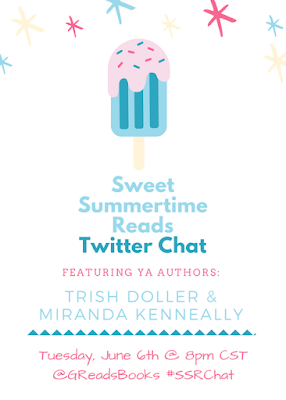 I've got a special twitter chat scheduled with YA authors Trish Doller and Miranda Kenneally for next Tuesday, June 6th at 8pm CST. We plan to discuss their 2017 summer YA titles, share inspirations, and of course talk about kissing in books... because well, they're the masters at writing it! I hope you can make it. As in the past, there will be GIVEAWAYS through out the summer as well. 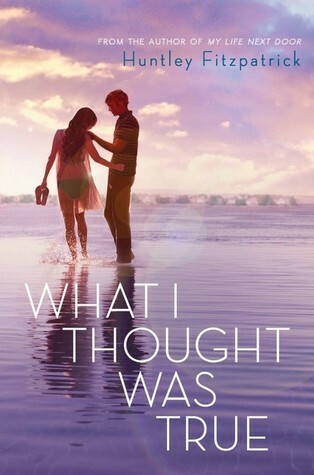 To kick things off, I've got a list of my all time favorite summer YA reads + a giveaway to enter to win one of these books! This giveaway is open international (just as long as Book Depository ships to you). Details to enter are down below. I hope you'll stop by and join me this summer as I feature my favorite summertime reads + other summer goodness (aka the best time of the year!). And yes, expect lots & lots of pineapples!! 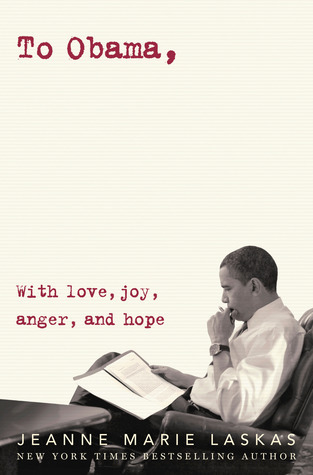 Happy Summer & Happy Reading, Friends! I got a summer teaching job! Super excited about that. And if I won, I would want Amy and Roger's Epic Detour. That one has been on my TBR list for awhile now! Can't wait to read it! I love the lack of snow. I'd love Breakfast Served Anytime. If I was lucky enough to win, I think I'd choose Summer of Supernovas. I am looking forward to my second year helping with our library's summer outreach reading program. Last year we went out to 2 sites and this year we are expanding to 6 sites, bringing books, crafts and tablets to kids who are in a summer school. I would be excited to get any of the novels listed but if I had to choose one: Amy & Rogers Epic Detour. Thanks! I'm so excited to participate in this for the first time! I don't have any major plans this summer, other than read all the great books! I do love the sweet summer fruits. 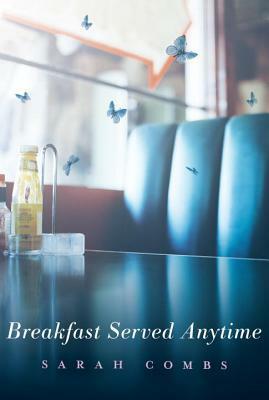 BREAKFAST SERVED ANYTIME thank you. We finally just had a warm weekend where I could get outside and read, so that felt pretty sweet after so much rain, though now it's already switched back to gloomy weather, I'm just glad I enjoyed it while I had the chance. I would probably choose Along For The Ride by Sarah Dessen. 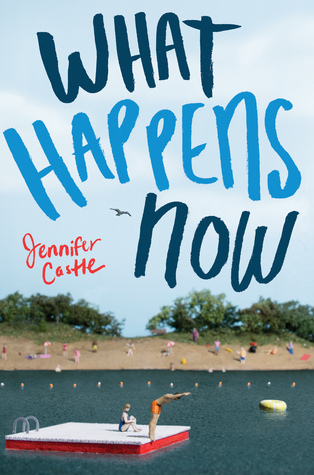 For me summer is all about going on walks by the water, enjoying the weather with friends and family, and of course reading. If I'm lucky, maybe I'll go on a road trip too. 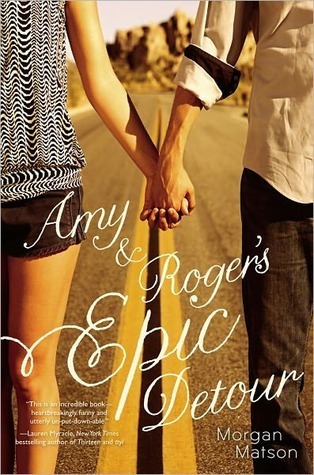 I'd love to win a copy of Amy & Roger's Epic Detour. Thanks for this giveaway! Very helpful suggestions that help in the optimizing website. Thank you for valuable suggestions. Love summer reading, although here in Scotland we're lucky if we get a summer that doesn't consist of rain, rain and yet more rain so reading outside is not always a given. I am looking forward to getting stuck in to some serious summer reads this year though and the ones above look like a great place to start. My daughter is home for a few weeks between undergrad and grad school. This makes me happy. So, I can't follow directions. I would pick either Summer of Supernovas, What Happens Now. I haven't read half of these and I am so going to be checking them out. I am all about the summer contemps right now. I like hanging out in my garden and taking walks in the woods during the summer. All the books are great. I would want Amy and Roger's Epic Detour. Sadly, my summer is going to be filled with writing my dissertation but I get to go to a couple of great book events! Hmmm... out of those books I'd probably choose Summer of Supernovas or Amy & Roger's Epic Detour. Thanks for the giveaway! 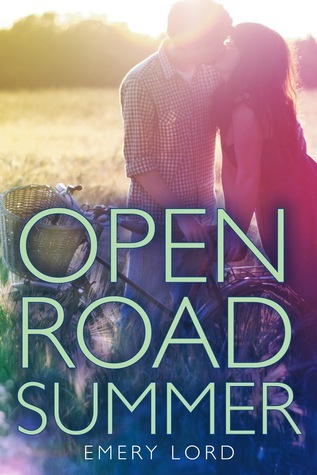 I love summer books, especially if they involve road trips or the beach (bonus points it it's a road trip to a beach). I miss being on the coast and have to live vicariously now! Out of these books, I'd love to win Summer of Supernovas. 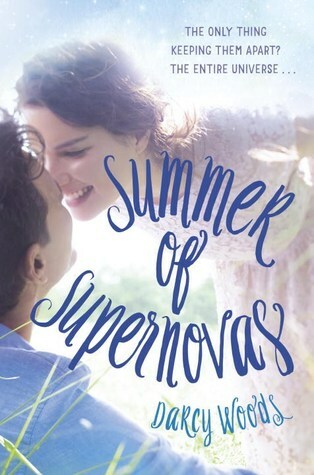 I would love to win Summer of Supernovas by Darcy Woods! And I'm really excited to be going on holiday independently for the first time ever to greece! We went on our first summer camping trip and I can't wait to continue that sweet family tradition every summer. 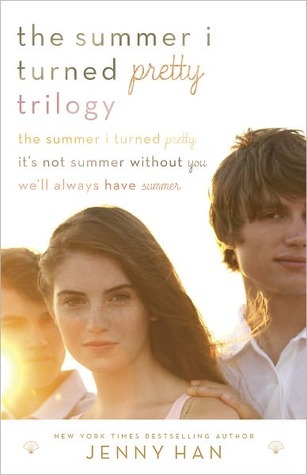 I'd have to pick Sarah Dessen because she just screams summer reading! SO far, my summer has been mostly work :( and a lot of yoga :) but this weekend I am headed to the beach! Amy & Roger's Epic Detour sounds so good! I hadn't heard of this but I seem to be missing out! Ice cream every single day! ahaha Happy Summer! We went to Myrtle beach! If I won I would want what I thought was true. 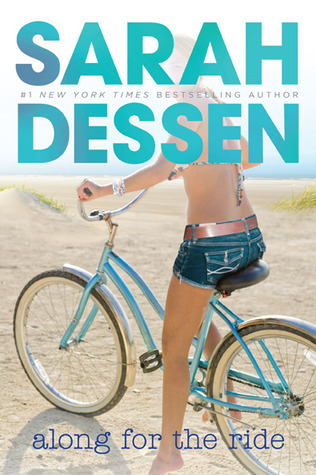 BTW, along for the ride is amazing just like everything else written by Sarah Dessen! Thanks for the chance, anyone for a young adult. Hoping to go on vacation with my family. That would be sweet.